Engines: 5 American Lycoming TF 40 (3 for propulsion, 2 for support )gas turbines and Italian gearboxes. 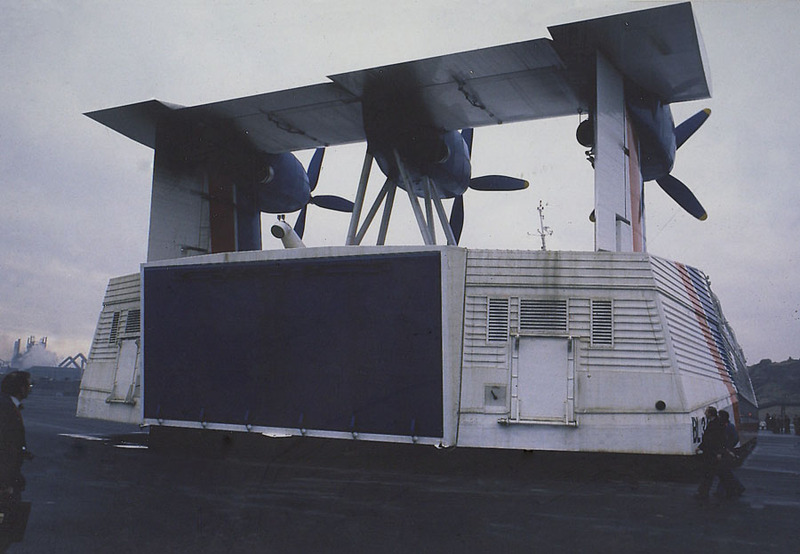 November 20th 1977: Expected initial departure from Pauillac and all preparations were duly made. However, the weather report was very bad and the forecast for that week showed no signs of improvement. At 07.30 hrs a decision was made to postpone the departure the following Friday. November 25th 1977: The first stage of the journey (Pauillac to Le Verdon, at the mouth of the River Gironde) began and took 50 minutes. 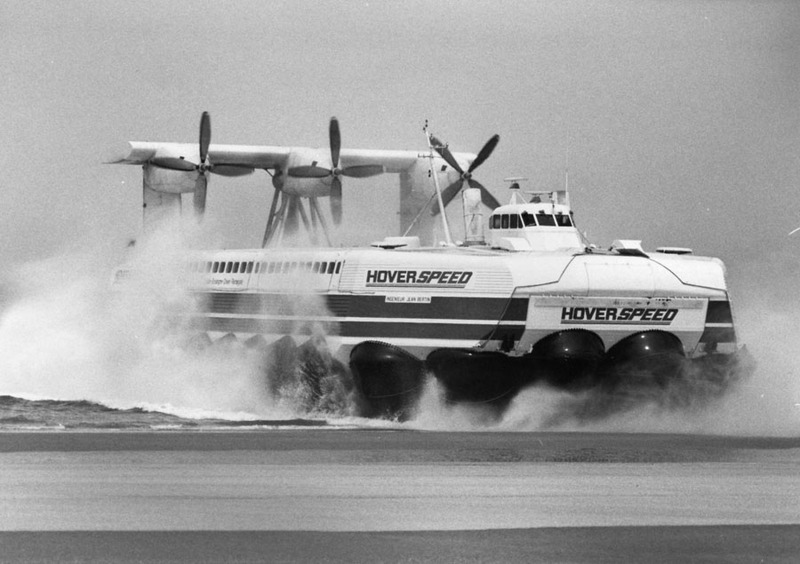 November 26th 1977: The weather was good and the craft reached Quiberon early that morning. It landed on the tourist beach of Pen-er-Le where a tanker waited to refuel her. She left for Douarnenez at 13.30 hrs, where a planned landing spot at Sainte Anne la Palud was moved to La Lieue de Greve. She landed at 17.00 hrs. 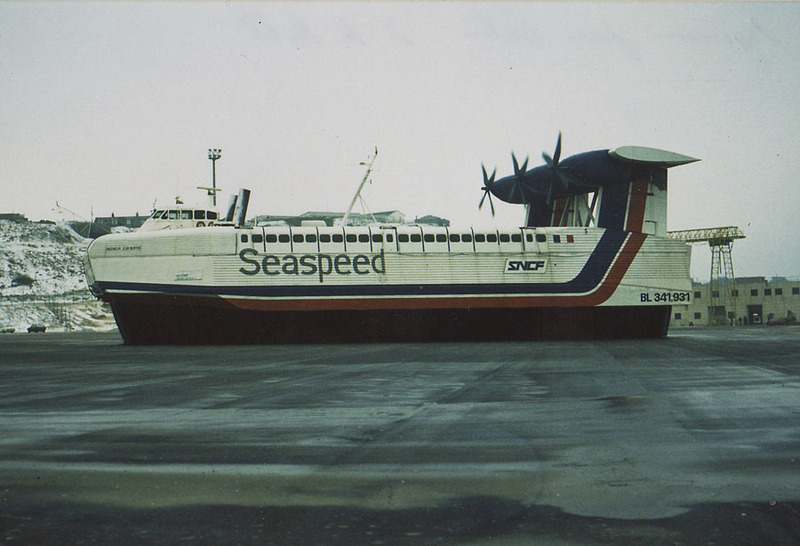 Sunday 27th November 1977: Departed for Cherbourg, but between Sept Isles and Brehat there was an incident involving two of her skirts and, as a precautionary measure, she had to put into Erquy. Her departure was delayed owing to the fact that her refuelling tanker was already en-route to Cherbourg and had to return to Erquy. 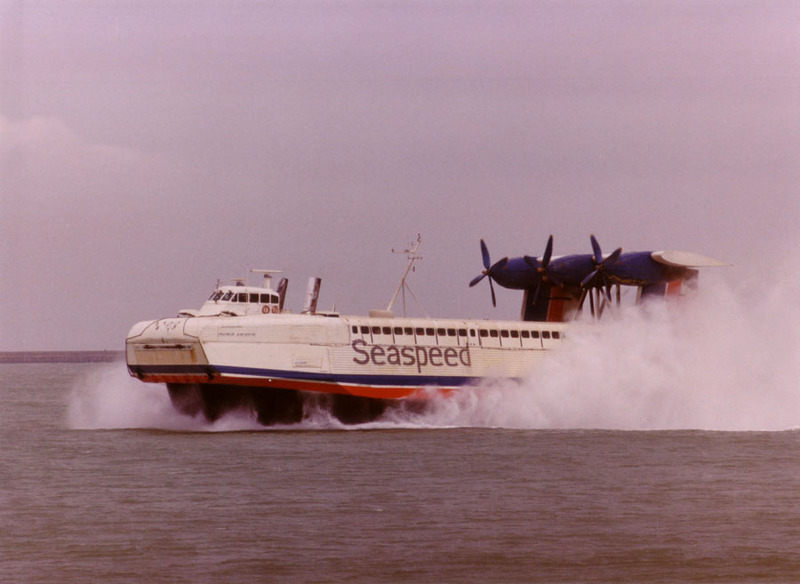 Monday 28th November 1977 (08.30hrs): Left Erquy for Saukville (near Cherbourg) in rough seas. 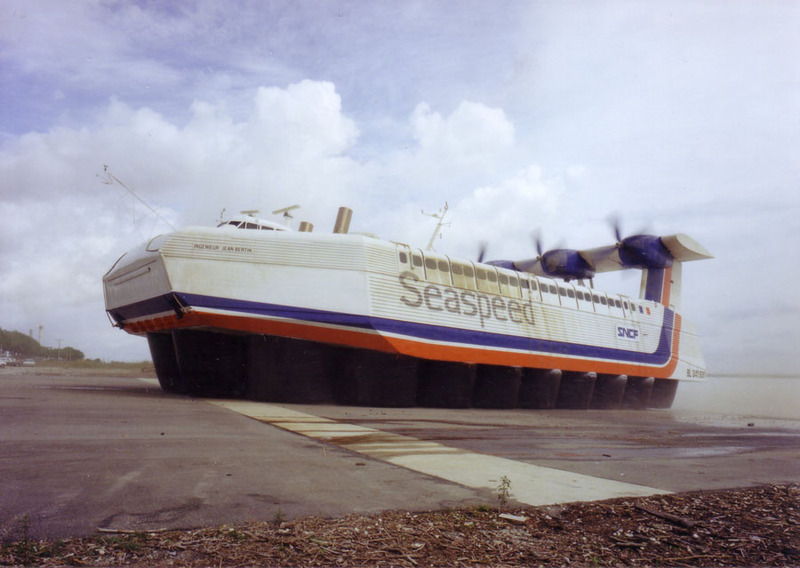 There were doubts about the vessels capabilities to fly in such conditions and after only 45 minutes flying the pilots turned back. 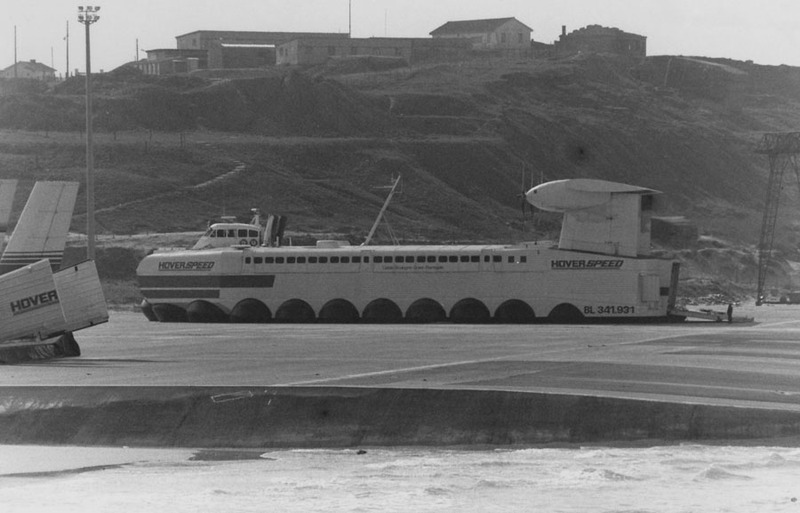 Tuesday 29th November 1977: Left for Siouville arriving at 12.30 hrs, despite the weather conditions, an hour earlier than expected. After taking on supplies she set off for Houlgate at 13.50 hrs and arrived that afternoon. 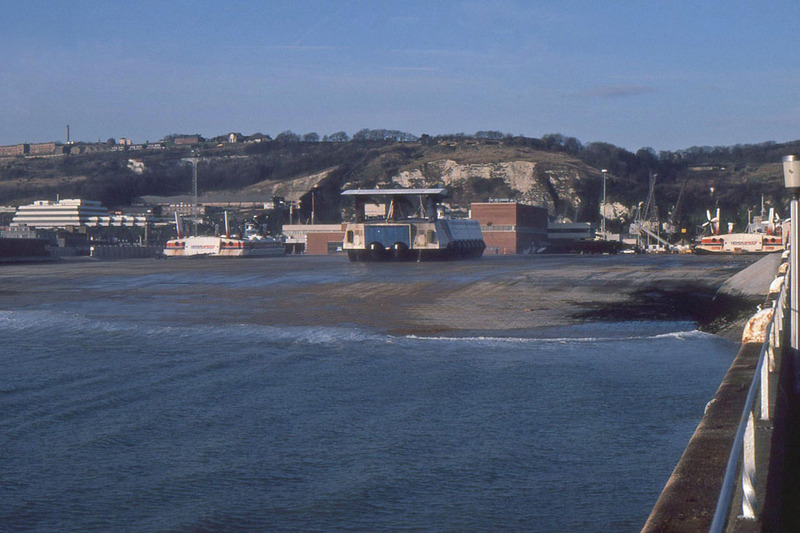 Wednesday 30th November 1977: Left Houlgate for Boulogne. 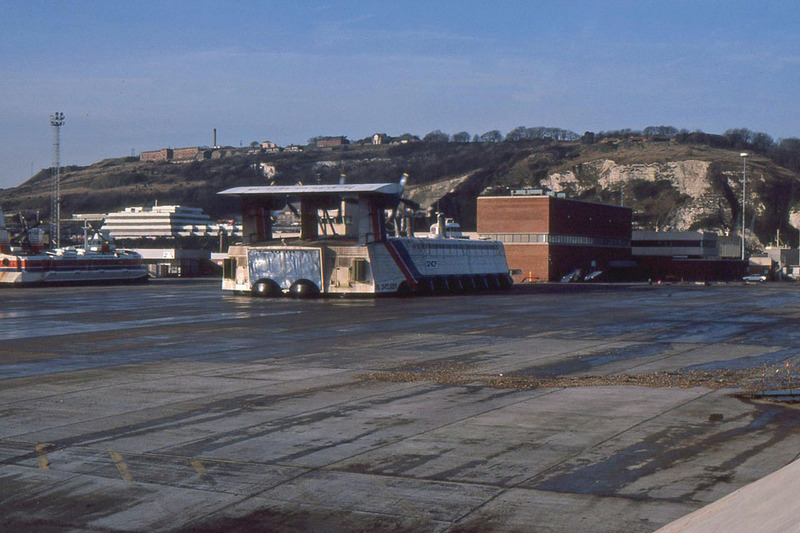 Wednesday 30th November 1977(13.25 hrs): Landed at Boulogne. During this journey she created a world record flight of 750 mile in 25 hours. 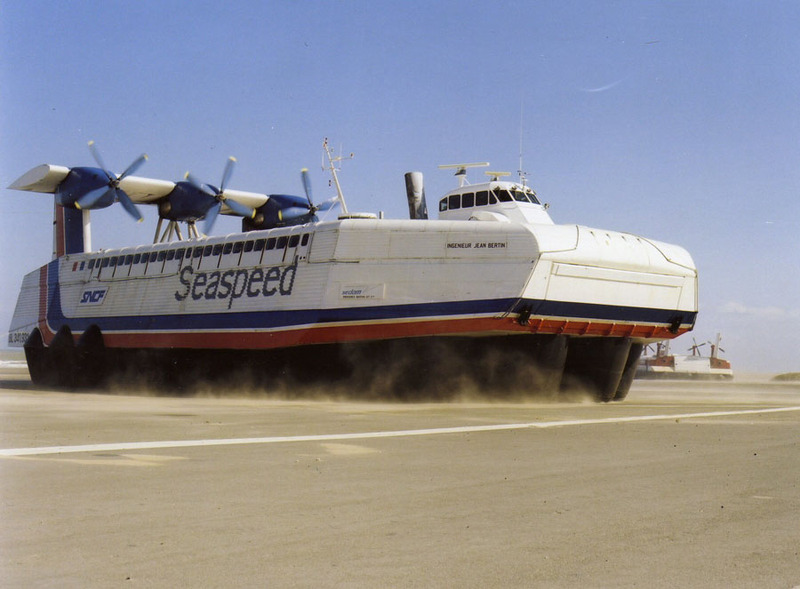 March 1978: She commenced trials. 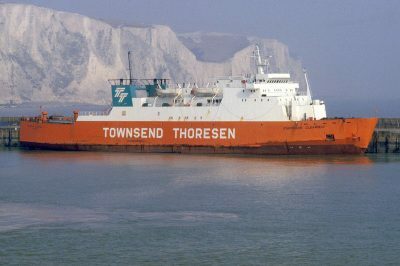 July 5th 1978: Entered commercial service between Boulogne – Dover. 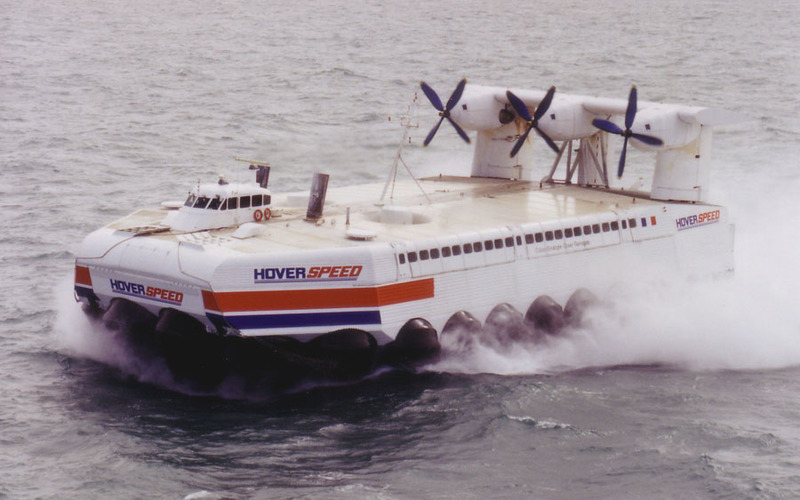 Became the first commercial craft to use the Dover Hoverport pad. 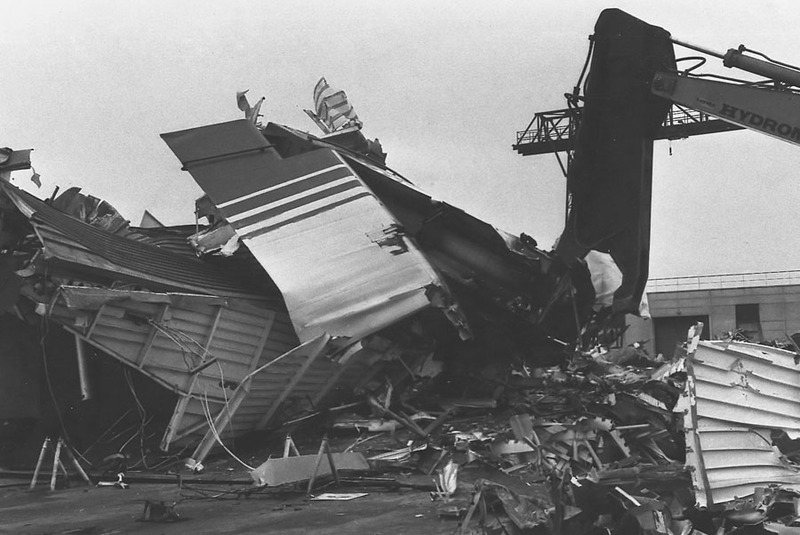 August 17th 1979: Experienced complete engine failure during a gale when 8 miles off Boulogne. 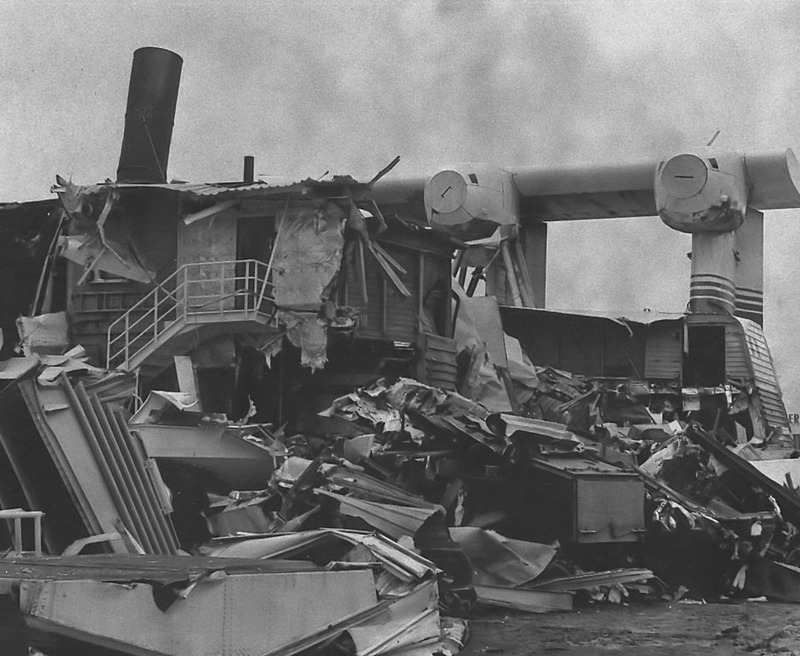 Engineers were landed on board, by helicopter and a tug was called from Dieppe. She was stranded for 8 hours. 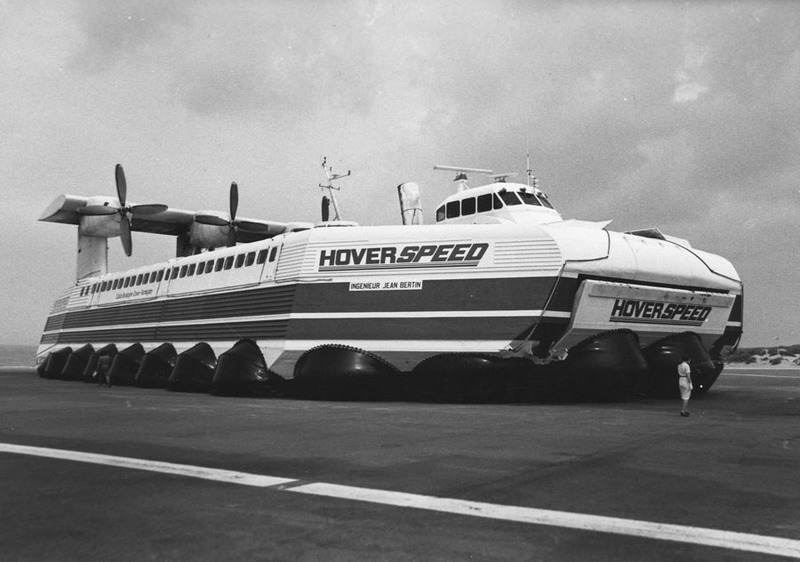 February 23rd 1982: Giving the reason as profit margin, SNCF released itself from the venture and the sold the craft to Hoverspeed. 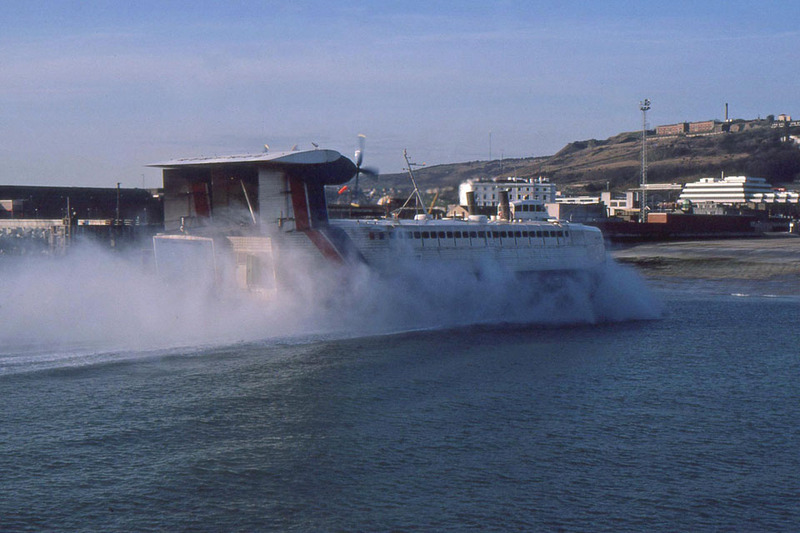 The French were asked to modify the craft ,and this was done at Boulogne in 1982 (ie: modification of the skirts, increasing the manoeuvrability, greater speed. etc ..). 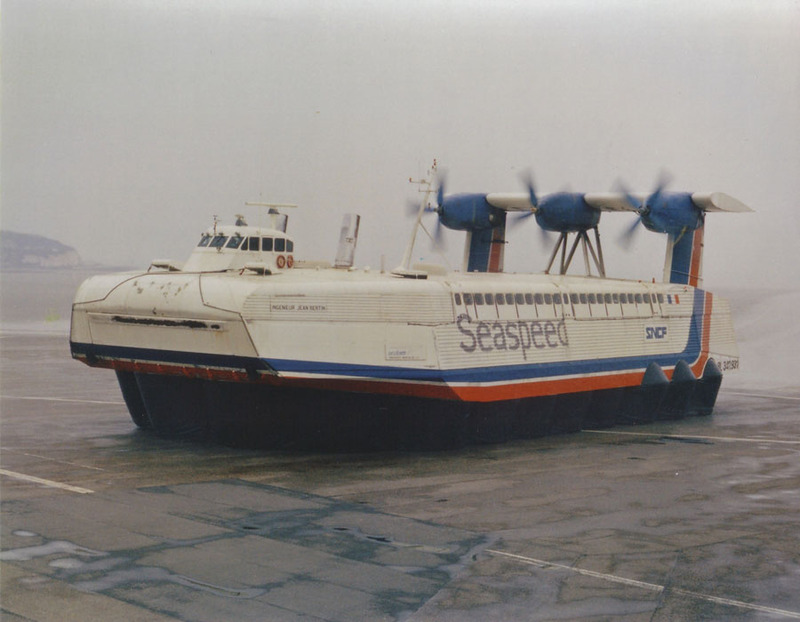 December 14th 1982: After £500,000 of modifications, she underwent sea-trials. 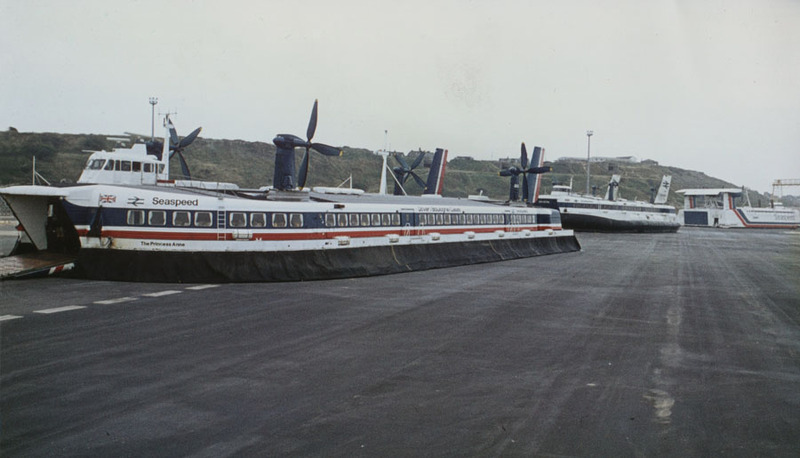 February 23rd 1982: Reintroduced on the Boulogne – Dover route. 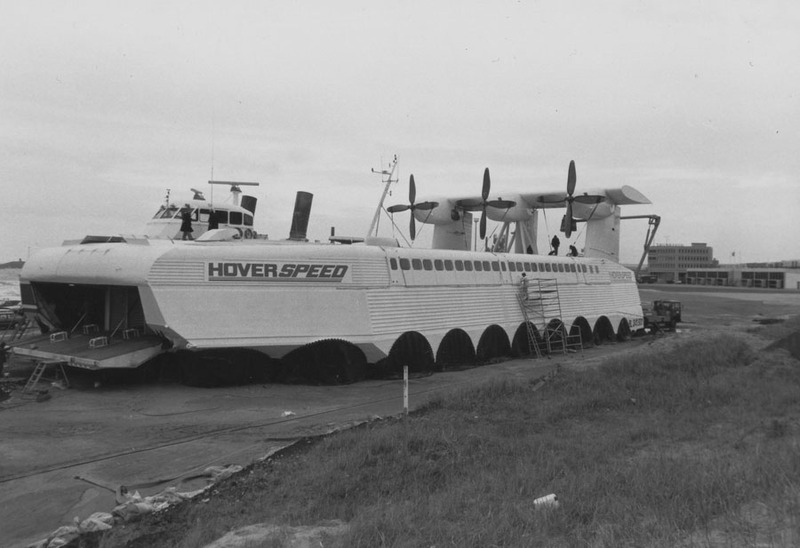 July 27th 1983: Hoverspeed announced that the craft was not suitable for their services and it was returned to SNCF. 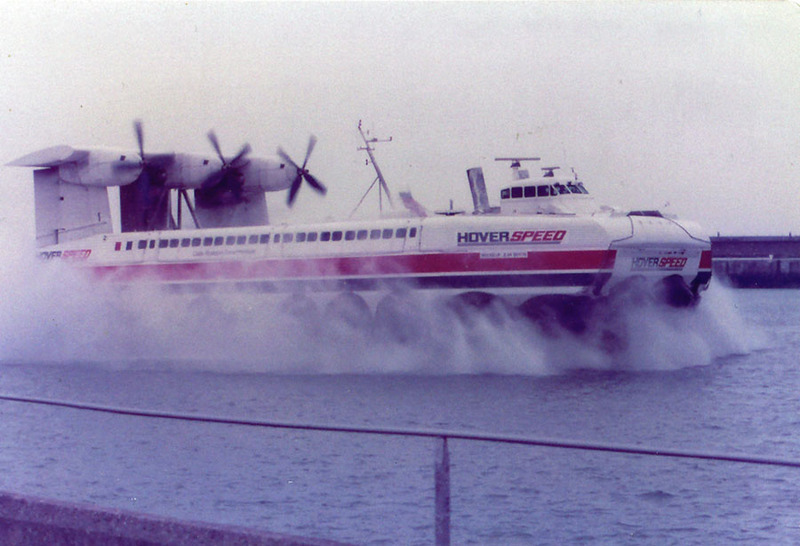 During its trial period for Hoverspeed, the Naviplane lost 30% of its intended flights. 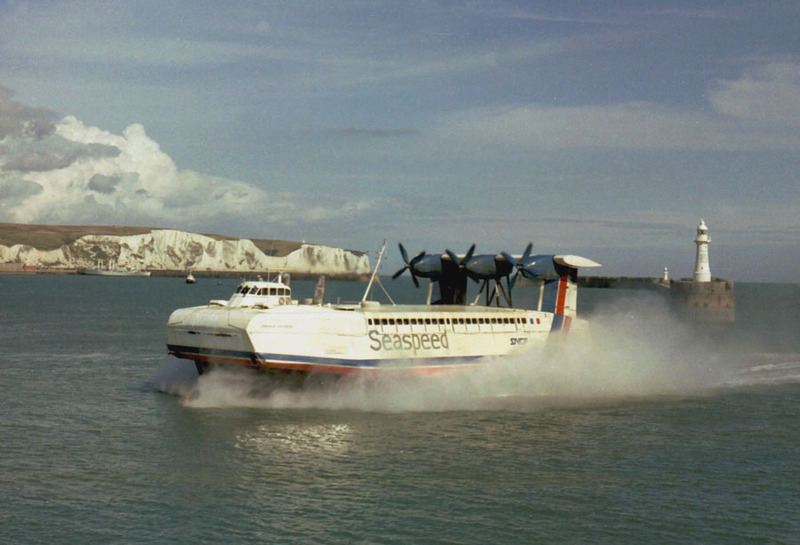 Failures occurred in the propeller pitch and propulsion systems and cracks developed in the hull and fittings. This was all thought to be the result of the excessive vibration. 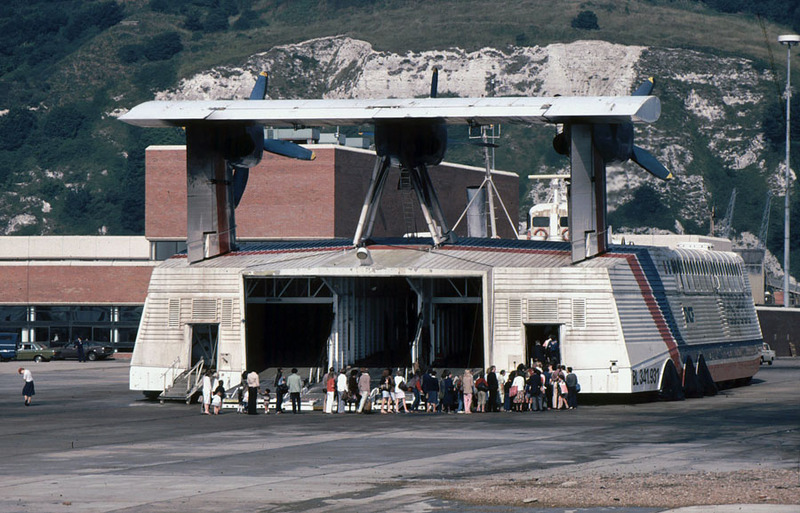 July 1983: She was removed from service and beached in Boulogne. 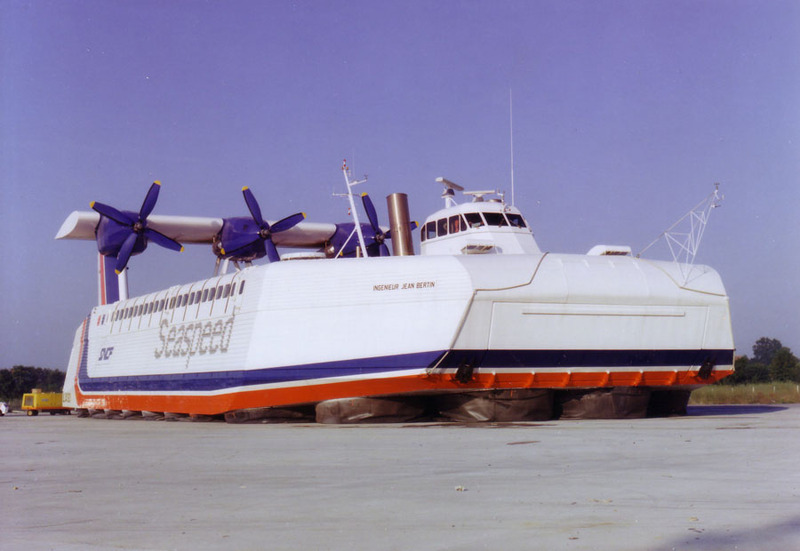 October 1985 (late): Having been left abandoned on the beach she was broken up by a mechanical digger on the Boulogne hover-pad. All information is believed to be correct and no responsibility is accepted for any errors or omissions. All items included in this article are subject to © copyright. We would like to take this opportunity of thanking: Tony Garner, Ken Larwood, Mark Leiper, Nicolas Lévy, Stéphane Poulain and Andreas Wörteler for their assistance in producing this feature.